Straw vs Hay - Which Makes A Better Mulch? You are here: Home / Outdoors & Garden / Straw vs Hay – Which Makes A Better Mulch? 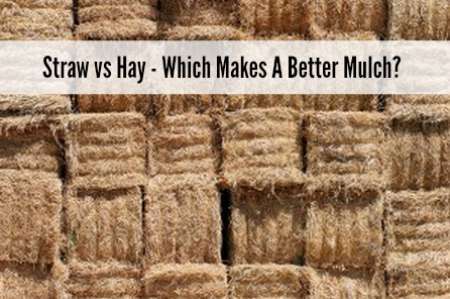 Straw vs Hay – Which Makes A Better Mulch? Do you know the difference between straw and hay? Both are produced in a similar way, but you might be surprised at the ways they can be used. Straw and hay can both be used as mulch. All you need to do is research the pros and the cons of straw vs hay. There are some people who may say hay makes a better mulch and some say straw is better. This is the ultimate argument when looking at straw vs hay. One of the biggest factors to keep in mind is what you have available in your area. One thing that many people may not think about when comparing straw vs hay is the cost. Straw might cost more depending on how much is available in a local area. The same can be true for hay if the season is poor due to a drought or too much rain making everything moist.